Whoops! I meant to say "in space" not "on earth" sorry. but in space you can see more galaxies than on earth right? space doesn't have any air so light can travel almost perfectly through space, and therefore can be seen a lot better than with the thick air. The full one is only 351GB. I'd download all that if it were all available in SE lol. I'd finally have a use for my 10 year old HDD and be able to fill it with something. Even the 10% would be pretty awesome. A non-language dependent user database. So 'user-db.cfg' instead of 'user-eng-db.cfg' or 'user-ger-db.cfg'. In my opinion, there is no reason to make this database language dependent since it is only used by one user. But I, for example, occasionally change the interface language between English and German. So if I make any entries in English, these entries are of course not available in German. And vice versa. If that is not too complicated. Wow! yes that would be awesome. One of my childhood disappointments was the Galileo atmospheric probe lacked any imaging instruments. 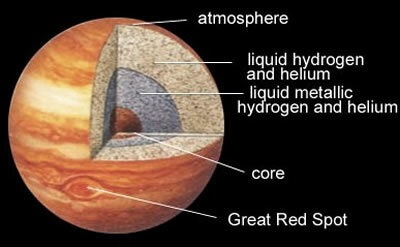 One of those dreams as a kid and even now is to see gas giants atmospheres from within the clouds. Suggestion; Point to point distance measuring or at least latitude and longitude lines for the planets. I suggest that a planet should have different temperatures depending where you are on the surface and the temperature displayed should rather be the average temperature of the planet. The temperature variations can vary depending on how much atmo pressure the planet has. A dense atmosphere planet might have an uniform temperature or have min/max temperatures close to the displayed temperature where however a planet with little or no atmosphere might be scorching a place and freezing another place. Currently while editing a planet or star via the in-game editor the [color=#ffffff]export[/color] option always creates a new file, so it would be nice to have a "Save" button for non-procedural planets. While by no means important, it saves time when editing a system repeatedly to try out different settings, especially if a restart is required to fully apply the changes. Please make creating galaxy models easier. 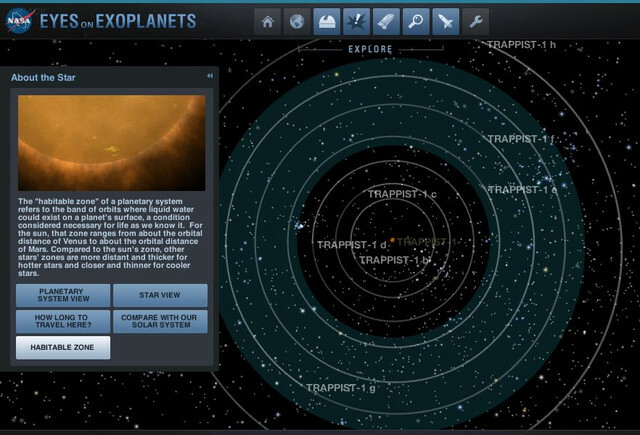 Since the newest add-ons for the recent editions of SE are planetary compositions and chemistry, I was wondering if it is possible to add a detail on the planetary window regarding the amount of radiation (like gamma, radio, microwave, infrared and visible light frequencies) received and present on the planets surface (from beyond the atmosphere and by that generated by radioactive materials in the planets crust), and upper atmosphere (from the radiation belts and particles from beyond)? Since units of radiation are non-standardized, and dependent on the type of radiation in question, measuring the levels might be tricky to implement. I could imagine it also being fairly region-dependent, since some areas of the universe have more radiation buzzing around (example, the central regions of the Milky Way). On that topic, what about measuring what radiations are emitted by a particular object in space (excluding planets and asteroids) such as stars and black-holes? As I said, I don't know how easy such a detail may be integrated in SpaceEngine or if that is planned in the future. You really should do something with DMD Branefold and partner up. You can do curvature and gravitational pull of light rays around the sun and blackholes properly and when you move really fast between planets you can have luminal abberation. DMD Branefold is the fastest raytracer on the market and they're working on purely vertex transforming projections too.